Putting the plate before the car: Now what? 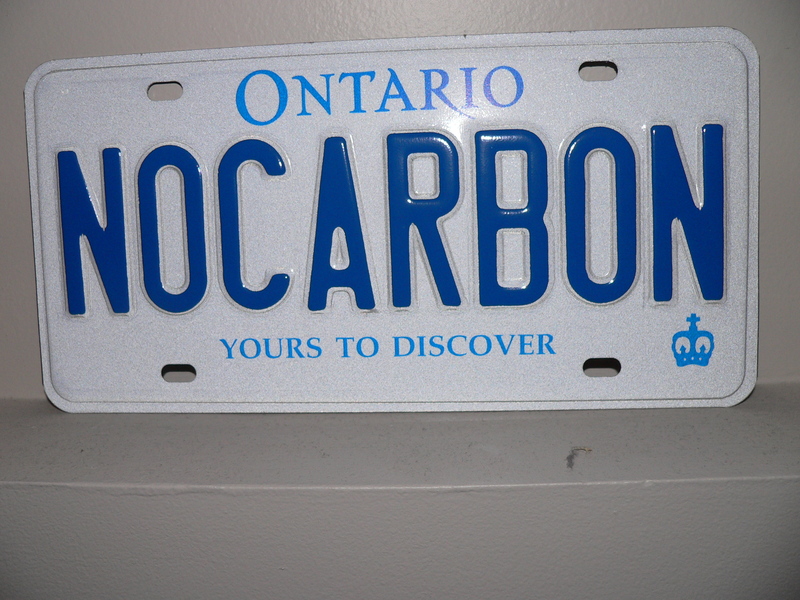 Last winter we bought this license plate in anticipation of our future electric car. The plan went like this: Limp the 2001 Jetta (with almost 250K miles on it) to the end of the year. Then see what’s available in plug-in EV for 2012. The reality went like this: Jetta got wrecked this week. It is no more. So now we’re down one car and need to make the decision sooner than we thought. The questions are, what’s the state of the science in EV, what’s available in Canada, and, importantly, what’s going to work for us? In terms of working for us, the car is going to be Barry’s commuter vehicle. He’s a consultant, so work-gigs vary in distance — usually between 40 and 50 miles of legendary Toronto traffic, one-way. And there almost certainly will not be a charging station at the other end. The GTA is not yet equipped for EVs. So this car’s gotta have reach. We’re on the waitlist for the Nissan Leaf, but that’s not due here until Fall. Yes, it’s seriously pricy (aren’t they all?) but there is an $8500 rebate being offered in Ontario to the first 10,000 buyers. Not sure when we’d know if we’re in that 10K. Also not sure the Leaf has the distance we’d need. And, other than that, we haven’t done a whole lot of research. Since we’re somewhat ahead of the curve here, it may turn out that we have to go with a hybrid, in which case, our license plate will have to wait for another car. I do see that Ontario offers “Green Plates” which carry a few perks. Sadly, they are not available personalized. That’s no fun. If anyone has any suggestions or recommendations as to EVs or Hybrids, please comment. Meanwhile, I’ll start doing some homework on this and post what I find. Anyone who follows along here will be able to see the ups and downs of selecting and buying an EV or hybrid vehicle in Ontario. Oh, and if we decide on a hybrid, I’ll be looking for a new license plate. Got ideas? Put ’em here!